I'm having a little giveaway on my Facebook page! I know not everyone uses Facebook so next time, I'll have one here. 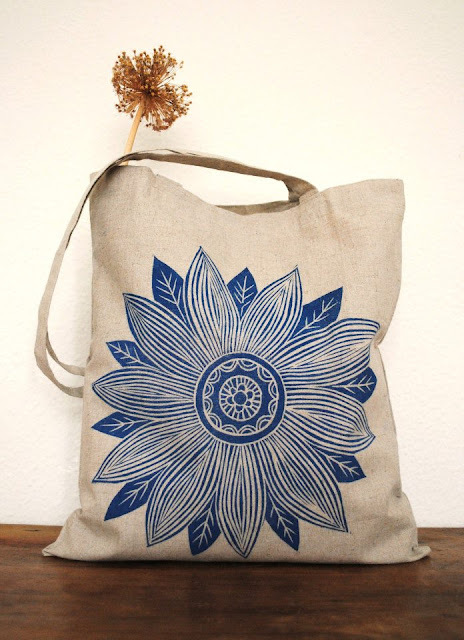 If you'd like to win this bag and you're on Facebook, click here: http://tinyurl.com/6m2kaw6 Then 'like' and 'share' it on your wall with your friends for a chance to win this hand printed blue sunburst linen bag!